Abstract: Objective To assess the short-term effects of bariatric surgery on body composition. Methods Fifty-seven patients who underwent bariatric surgery were assessed by dual-energy x-ray absorptiometry (DEXA) before surgery, and 1 and 3 months after surgery. 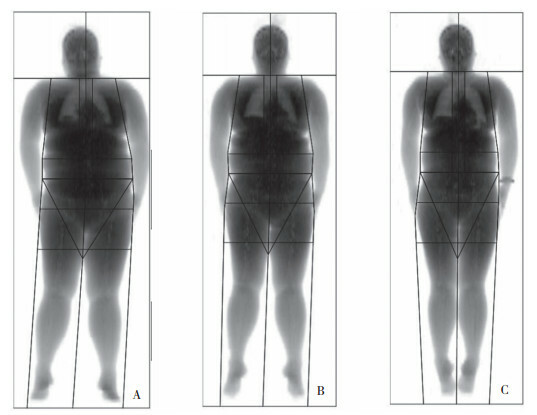 The body composition indexes of whole body and different regions were compared. Results The body mass index (BMI) decreased by 10.61% and 18.51%, and the lean mass (LM) by 13.22% and 14.35% at 1 and 3 months after surgery, respectively. The A/G far mass (FM) decreased significantly 3 months after surgery (P < 0.05). The bone mineral density (BMD) of the spine increased, but that of the pelvis decreased at 1 and 3 months after the operation, and a reduction was observed in the BMD of the whole body by 1.23% and 1.45%, respectively (P < 0.05). Compared to the baseline, the bone mineral content (BMC) of the spine, pelvis, and whole body increased at 1 and 3 months post-surgery, with a statistically significant difference (P < 0.05). 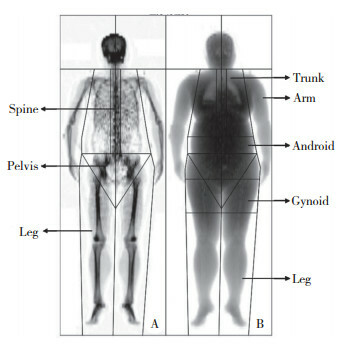 The FM of the whole body (9.52% and 22.77%) and four regions (legs, trunk, android, and gynoid) reduced. A significant loss of FM (P < 0.05) was observed in the android region by 15.80% and 31.86% at the two follow-ups. Conclusion Bariatric surgery can effectively reduce the patient's BMI and FM in the short term, and promotes the redistribution of fat; however, it may be accompanied by a reduction in LM, while the BMD and BMC change trend of pelvis and whole body are opposite. 1) P < 0.05 vs baseline.BMD, bone mineral density; BMC, bone mineral content; FM, fat mass. 1) P < 0.05 vs baseline.